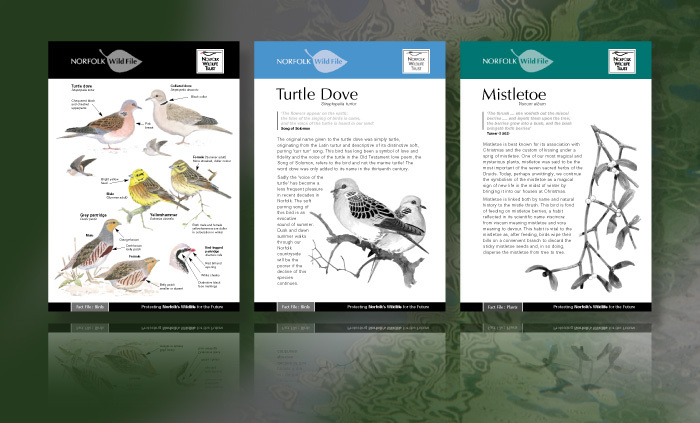 Norfolk Wildlife Trust – NWT Norfolk Wildfile. Introduces you to 36 of Norfolk’s most fascinating and charismatic wildlife inhabitants. Ring binder containing 36 four page leaflets on the individual species, laminated colour identification cards, section dividers and recording cards. Design and origination.